Years ago I used to have a big cookie baking day where my brother and sister would come over and we would make all sorts of cookies and candies for Christmas. Then I had kids and more kids until I had four kids. Now with four kids ages 7-1 I stick with a batch of cookies or candy here and there. Everything I do has to be quick because their attention span is short and trying to cook with them wears on my patience if you know what I mean. 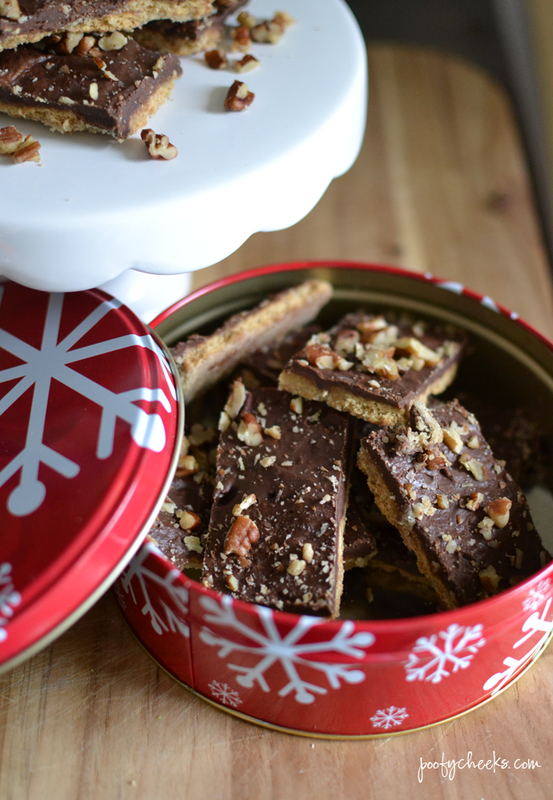 This toffee is super quick and easy so it wins the mom approved award. 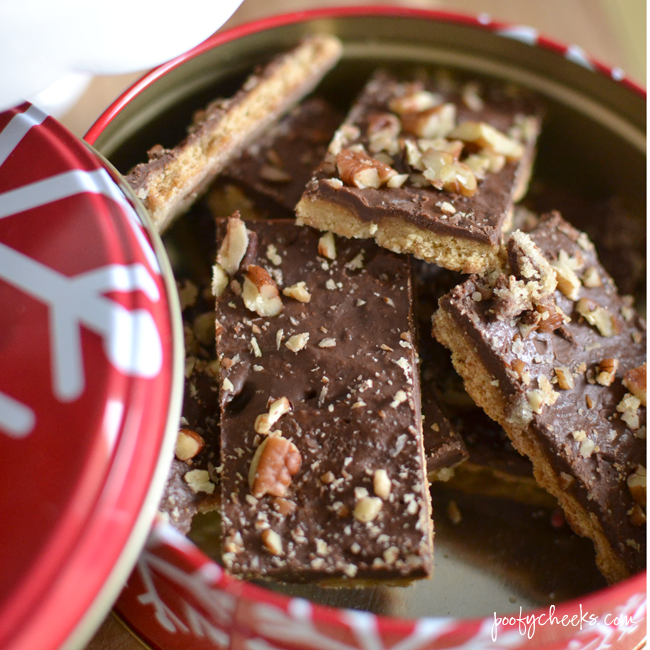 Line a baking sheet with parchment paper or foil and tightly fill the pan with graham cracker squares. If some break or aren’t perfect don’t worry about it. You won’t be able to notice in the end. In a saucepan melt the butter and brown sugar. Bring mixture to a boil and allow to boil for three minutes. 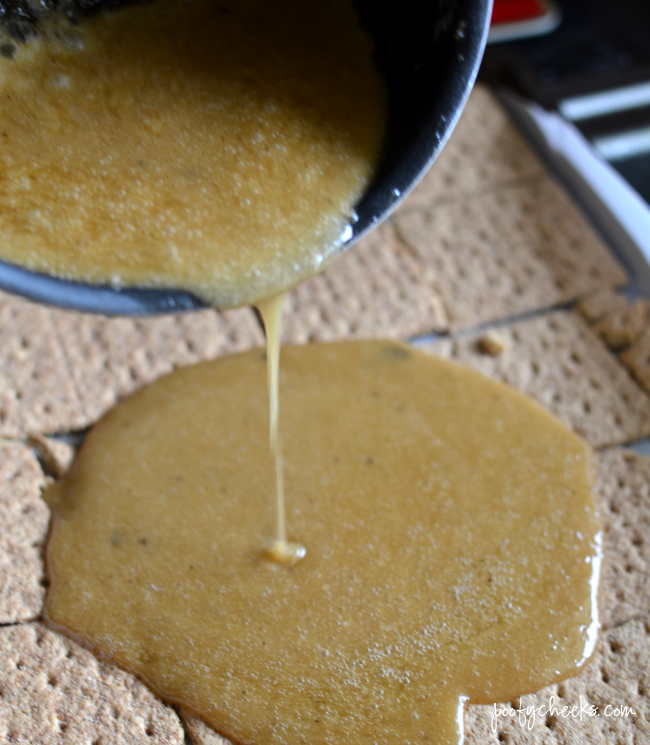 Immediately pour mixture over crackers using a spatula to spread it around evenly. Bake for 5-6 minutes. It will be bubbly which is fine. Spread chocolate chips across the top and once again use a spatula to spread evenly as they melt. Sprinkle with pecans. 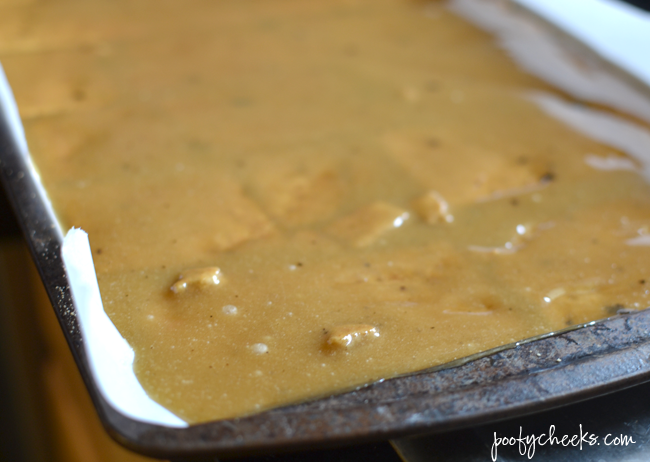 Allow toffee to completely cool for a few hours or overnight. Speed up the process by placing the pan in the refrigerator. Cut into small pieces and enjoy! I’ve got some other things I have shared over at Poofy Cheeks lately – I hope you will stop by and say hi! She has these super cute DIY Wooden Christmas Trees that would grant on your porch! She also has some great Elf on the Shelf Hacks for you! And I can’t wait to try her Peppermint Dipped Sugar Cookies! 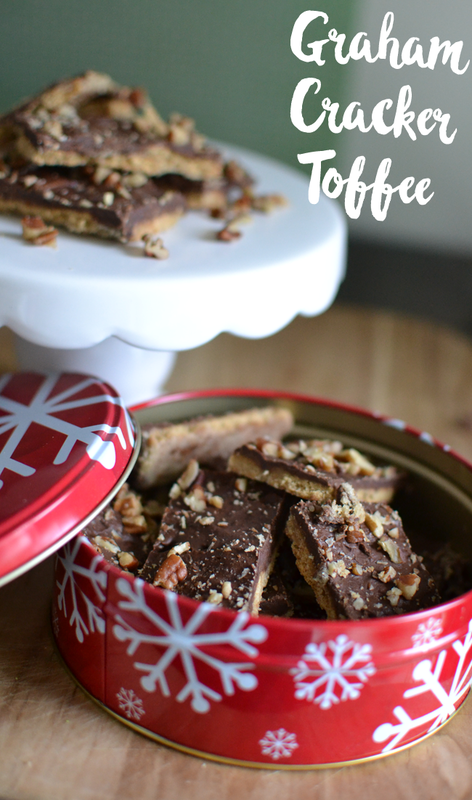 This toffee looks amazing! I need to try it soon!